Nov. 4, 2015 -- At noon on November 11, the Litigation Section of the State Bar of Texas will induct the Honorable Ruby Kless Sondock as a Texas Legal Legend in Krost Hall at the University of Houston Law Center. As one of only five women in her class, Justice Sondock graduated as valedictorian in 1962. She had been admitted to the bar a year earlier – in fact, she passed the bar without taking a bar review class. Following graduation, she went on to practice, arguing a case before the Texas Supreme Court in her first year. Gov. Preston Smith offered her the appointment to the bench of the Harris County Domestic Relations Court in 1973. Four years later, Gov. Dolph Briscoe appointed her to the 234th District Court, earning her the distinction of being the first woman district court judge in Harris County. In 1982, Gov. William P. Clements appointed Justice Sondock to the Texas Supreme Court to serve the unexpired term of a deceased justice. With this appointment, she became the first woman to serve on the Texas Supreme Court in a regular session of the court, and the first woman to serve on the court since a special session in 1925. Justice Sondock neither sought election for a full term nor accepted the later nomination to serve the unexpired term of then-retiring Texas Supreme Court Chief Justice Joe Greenhill. Instead she returned to district court, and ran unopposed. 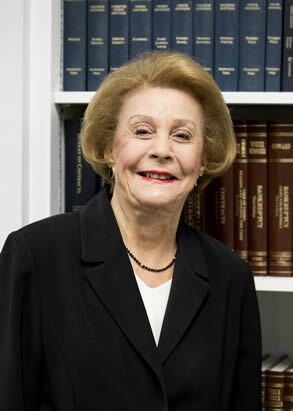 Since retiring from the bench, Justice Sondock has worked for many years as a successful private mediator in Houston.